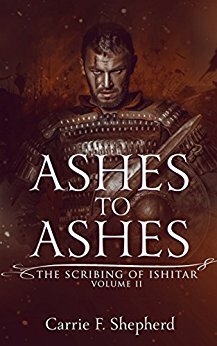 Ashes to Ashes, The Scribing of Ishitar, Volume II by Carrie F. Shepherd is a colorful twist and consequence of a rebellion by angels and demons, an act that caused them to be banished from heaven in Book One of this series. 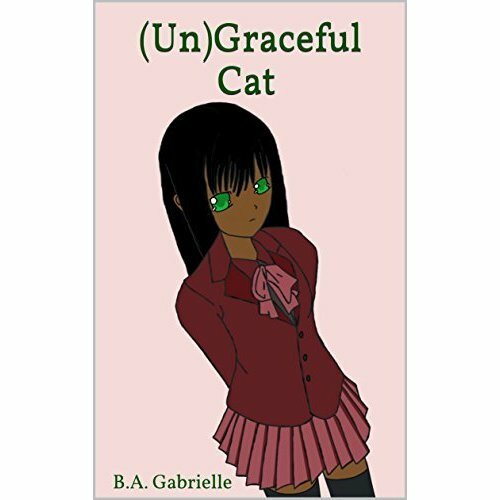 The story includes a wide variety of fantasy characters in addition to angels and demons along with typical mortal humans. Without reading the first book in this series it will take a little bit of focus and patience to decipher good from evil or maybe a pinch of both! Kingdoms are fought over by the Gods in the heavens and as usual, lesser creatures are always in the wrong place at the wrong time. A story of greed, deceit, and revenge amongst the supernatural ranks, all with the desire for more everything, more power, and forbidden love will birth a war. Species will attempt to outdo other species and the battles will become a matter of survival. Friendships between races weaken to the breaking point as love affairs are ripped into pieces. Death and destruction plague all as a young man leads his people to battle and just at the onslaught of defeat, surprising aid comes from unexpected origins. Betrayal and trust, melt and mix to the point where the only thing reliable is one’s own survival. Forget prayers to a higher power, the Gods are the deliverers and the worst of all evil. This author keeps you hooked with all the twists and turns and shocking events. However, I do recommend that you read the first book in the series as this is not a stand alone. I believe I would have enjoyed the first part of the story much more if I had read book One first instead of attempting to develop and decipher the characters on my own. I do recommend this book for the paranormal and fantasy lovers out there! This story will have a little taste of everything that you crave, therefore giving this tale a BIG 4 Stars! REVIEWS! Check out the new pages HOME and REVIEW SUBMISSIONS! Yep that is right! I am now openly and publicly taking requests and submissions. I am excited and looking forward to this new action-packed adventure! Rylie, a typical teenager distraught about her parents divorce and rebellious against their decision to protect her from the evil of the process, is forced to attend a summer camp. Shy and timid, she hides in the pages of her journal where she feels protected in a cocoon away from the mean girls who care more about fashion and bullying. Safe that it is until she is attacked in the woods by an enstranged wild animal and her memory lost of the attack or how she made it back to the camp safely. Meeting Seth a boy supposedly from the other camp that is forbidden, Rylie soon learns that she only has three months to keep from changing into the evil creature that has changed her life forever. After the death of her father, will her love for Seth and for being human be enough reason for her to fight the change? Or will she sacrifice herself to save the campers and the boy she loves? S. M. Reine creates a unique love story that blossoms from the horrific truth of an ancient legend. She keeps you on the edge of your seat and glued to what the characters will do next. Its hard to find a story that captivates me long enough to finish reading it in a couple of days. I love this first novel in the Seasons of the Moon series and l am looking forward to reading the next chapter in Rylie’s story.